My son Michael has a very hard time retaining information. Like, he doesn't retain his ABC's and he is now 7 years old and still has a hard time with them. Thanks to Rock n Learn he now seems to know his ABC's without the fact that he "knows" them. He sings the songs over and over which I am trying to let him know "hey those are your ABC's". Rock n Learn Alphabet has catchy tunes which allow for your child to watch, learn, sing and dance along with the DVD. Each letter has 6 words to relate it to. So, like, instead of D is for dog they have D is for doctor, dolphin, dinosaur which are words you might have heard, now let's share some more with you drum, donkey, domino to now these words you know too. Something along that lol. 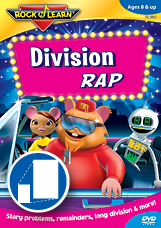 Every letter rhymes and is put into a song with 6 words, also on the Alphabet DVD they show your child how to write capital and lower case letters along with numbers 0-9. Rock N Learn is not just for ABC's they also carry sight words, shapes, math, reading and even science which I am looking forward to using the math ones because what kid doesn't need help with it.Rock n Learn now carries their DVD's in other languages so NO child is left behind. Your child will benefit from these DVD's as early as 2 years old! Really, even my 1 year old is into watching them and she does a little dance when the DVD is played so I am sure she is learning also. Check out the whole line of Rock n Learn DVD's by clicking the link here. Wanna save 25% off your purchase? Enter code JQ7711. Enter to win a DVD of your choice from Rock n Learn! Fill out the rafflecopter below. Contest open to U.S. residents only, Ends 4/11/13. 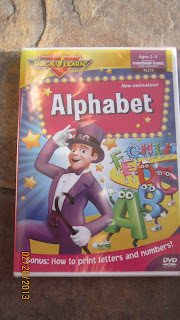 I might choose the Letter Sounds DVD for my grandson! I like the Rock n Learn Alphabet! Thanks so much for the fantastic giveaway! I would like the Getting Ready for Kindergarten DVD. I think I would go with the Alphabet DVD. My daughter knows her letters and letter sounds already, but I love that the video shows how to write the letters too! She just turned 2, so we haven't worked on writing much... but, it sounds like the video may help her get started writing the letters! These videos sound fun!